Sydney Shop Girl: Globes, Ribcages and 'The Rosie Effect'. Variety for A Wednesday. Globes, Ribcages and 'The Rosie Effect'. Variety for A Wednesday. 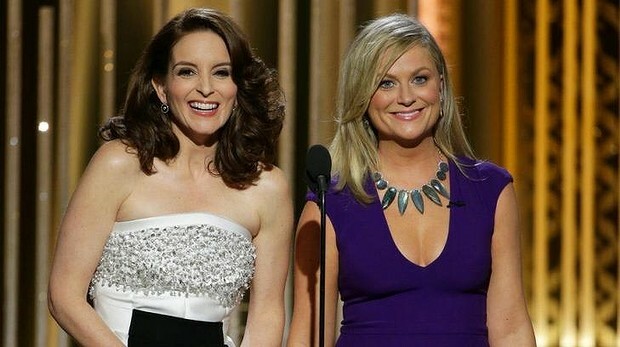 I know I'm starting today's post off with photos from this week's Golden Globes but don't worry, you won't be getting my considered opinion on the Fay and Poehler assessment of their colleagues and world politics. Nor will I weigh in on the lifetime achievement joke that they leveled at Amal Clooney's husband. Surprise, surprise, what I am here to talk you through is Globes baby bump fashion. I loved what Keira Knightley wore. Her gown was by Chanel and while it looked a bit weird on the catwalk, the version she wore gave her the slightly ethereal yet regal look that suits her so well. Keira did look a bit odd in the dress from some angles but the dress and her look has grown on me. One of the usual looks for pregnant actresses on the red carpet is to wear a bump emphasizing clingy gown where you often only realize the wearer is pregnant when she is photographed in profile. Keira's look is a very elegant departure from this and it gets two thumbs up from me. The high waist and black ribbon detail of her gown also reminded me of one of those rarely discussed facts (possibly because it is so trivial) facts about post pregnancy bodies. Pregnancy permanently changes rib cages. Don't ask me how, just trust that I know. Trust also that I know that 2 years is a more realistic time frame to be getting (most) of that pre baby body back than 6 months. And here endeth my 'mummyblogger post baby body gospel'. But back to the ribs. Mine have widened to the point that my pre baby dresses that were fitted at the waist are now unbearably tight. But I now fit boyfriend jeans and straight legged pants better. You win some and you lose some with post baby bodies. With regard to the losses, I took that as an excuse to update my work wardrobe with those dresses from Next I blogged about last week. Well, my order arrived on Monday and thanks to my accidentally ordering a size up, I've now got rib (and breathing) room and will be now be power walking up the stairs at work rather than cheating with the lifts. I'm really happy (as always) with the quality of my order. Two of the dresses were fully lined, the zips and trim were all solid and the tailoring was very impressive for the price point. The dresses I bought ranged from $45 to $79 and, dare I say it, they give Zara a run for their money in terms of style (Zara in Australia is a bit ho hum at the moment) and Target for quality and cut. I'm planning to get a lot of wear out of these three frocks. They make references to current trends but aren't so of the moment that they'll be retired next year. This workwear dress was $45. The shirt dress that inspired this order, $79. And this red floral dress for Chinese New Year was $69. CNY, by the way is Thursday February 19 this year. Toddler SSG has more shorts for day care. These have an adjustable waist and are $23 for a set of two pairs. Book wise, I'm struggling. 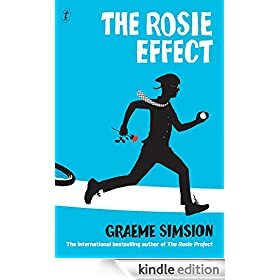 Trying so hard to like The Rosie Effect, Graeme Simsion's follow up to 'The Rosie Project' but it's proving to be a big ask. I can't quite put my finger on why. The poignancy of Don trying to adapt his precise and highly efficient way of life to the dysfunction of the real world isn't as central to the plot in 'The Rosie Effect' which explores Don and Rosie's married life and their impending parenthood. I'm just not feeling the pull of wanting to sit in on their life together. I'll keep reading and let you know how I get on. Go on, let's make this a gossip at the kitchen table with a mug of tea kind of post. What did you find most interesting about Golden Globes 2015? The fashion, Mr Amal Clooney, Tina and Amy's last hurrah as hosts ... the award winners and nominees? Did anything exciting happen to your ribs after your baby / babies were born? Let's pass on the post baby body reflections. It's been done better on other blogs. Are you feeling the love for 'The Rosie Effect'? Anything else you'd like to get off your chest (or ribs)? You've helped me view Keira's dress a little differently as at first I'll admit I just couldn't get my head around it... I'm not sure I'm completely convinced but perhaps you've twisted my arm a little bit... Disappointed to hear what you think about the Rosie Effect as I'm about to start this one and planned to take it on my long weekend break away - but now I think I'll take a back up book just in case! I haven't seen the Golden globes, and when I try to view the links you gave my computer just crashes for some reason.....it's long overdue a replacement. Maybe next Christmas, I wanted (and got) a new phone this year, haha. can't say I paid much notice to by ribs pre or post pregnancy, but I never had anything very fitted anyway...oh there was that one zipped maxi dress I couldn't squeeze into any more by the third trimester...but I put that down to weight gain rather than ribs..maybe now on reflection it was the ribs? Got rid of it so I can't test the theory out haha! I am with you on the Rosie Effect. I tried to like it, as I loved the first one. I found Don amusingly and charmingly obtuse last time, but this time he makes me cringe, and Rosie is being annoyingly stubborn. I also read Marian Keyes' new novel. I got through it but it was not nearly enjoyable as her others. The characters were thoroughly unlikeable. I love that flowery dress you bought. Meanwhile I was not sold on Keira's dress. Natalie Portman's frock a few years back was the zenith of maternity haute couture for me. Might've been at the oscars. I am so glad Mr Amal Clooney went for a smart lady in the end. It's refreshing. Love that red floral dress for CNY, so bright & cheery. I think the giant lace collar on Keira's dress brought back memories of Peter Pan collars circa 80s but you're right, I like that her dress is different from the rest of other celebrities' pregnancy dresses. Agreed on the ribs. I miss all my beautiful fitted work shirts that sadly no longer fit well. I have a theory about the Rosie Effect- that Don's quirkiness is less endearing in marriage and thus less endearing in the book. but i love love love the rosie effect. I have a co-worker who is exactly "Don Tillman". I am yet to read the first book, currently collecting dust in my drawer. Maternity Leave kind of reading me things.